(NationalSecurity.news) The attacks in Brussels, Belgium, this month and Paris, France, in November by members of the Islamic State demonstrate how focused the self-described Islamic caliphate is on striking Europe. In fact, say intelligence officials, the effort to infiltrate the continent may have begun as early as 2014, far sooner than many had believed. As reported by The New York Times, in the years immediately preceding the Paris attacks, an entity of ISIS obsessed with striking Europe sent in a string of operatives trained in Syria with instructions to carry out small attacks that were designed to both test and strain the continent’s security apparatuses, according to court proceedings, transcripts of interrogations and wiretap records obtained by the paper. Officials are saying that signs of this concerted effort to infiltrate terrorist operatives were readable at least two years ago but local authorities in various European capitals had a habit of dismissing each successive plot, preferring to call them isolated or random acts, even as their connection to the Islamic State was downplayed. And many believe ISIS operatives trained in rudimentary combat skills have also infiltrated the United States. 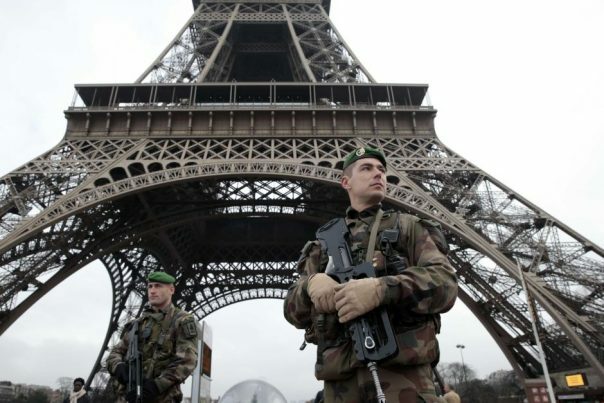 In August authorities arrested a young French Muslim in Paris who had been trained in Syria to carry out an attack similar to the November assault. While he was arrested before he could strike, authorities believe he was one of 21 other operatives who succeeded in slipping back into Europe. Their interrogation records offer a window into the origins and evolution of an Islamic State branch responsible for killing hundreds of people in Paris, Brussels and beyond. One of the first clues that the Islamic State was getting into the business of international terrorism came at 12:10 p.m. on Jan. 3, 2014, when the Greek police pulled over a taxi in the town of Orestiada, less than four miles from the Turkish border. Inside was a 23-year-old French citizen named Ibrahim Boudina, who was returning from Syria. In his luggage, the officers found 1,500 euros, or almost $1,700, and a French document titled “How to Make Artisanal Bombs in the Name of Allah.” But there was no warrant for his arrest in Europe, so the Greeks let him go, according to court records detailing the French investigation. But he was already on France’s terrorist watch list as a member of a cell of 22 men who had been radicalized at a mosque in France’s resort city of Cannes. When officials in France were notified of the Greek traffic stop, they had already begun wiretapping his friends and relatives. It wasn’t until much later, however, that officials were able to link him to ISIS. In February, top U.S. intelligence officials said they believed that ISIS operatives would attempt terrorist attacks inside the United States during 2016, CNN reported. The intelligence officials also said that ISIS was using the Syrian refugee crisis to infiltrate its operatives. ISIS “will probably attempt to conduct additional attacks in Europe, and attempt to direct attacks on the U.S. homeland in 2016,” Lt. Gen. Vincent Stewart, current head of the Defense Intelligence Agency, testified on Capitol Hill Feb. 9 at a hearing of the Senate Armed Services Committee. At the same hearing Director of National Intelligence James Clapper said that there were more terrorist safe havens around the world “than at any time in history.” He also said terrorist cells were active in about 40 countries. NationalSecurity.news is part of the USA Features Media network.